A plan first hatched by trainer Henry de Bromhead and owner Sally Rowley-Williams came to fruition when Special Tiara landed the John Smith’s Maghull Novices’ Chase in great style. “I discussed it with Sally in November after he had run over two miles and two furlongs at Punchestown when he sprinted home in the later stages. We decided to look for something over two miles and planned to come here,” said de Bromhead. 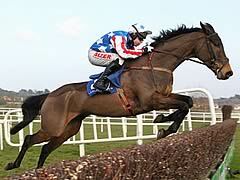 “We always thought that he wanted good ground and a very easy two miles. “He’s a big galloping horse and Bryan (Cooper) said that he thought he was beaten coming across the bottom so decided to ride him for a place. It turned out to be the best thing he could have done. “I am hoarse from shouting him home and the owner backed him at 66/1 so she is happy! Bryan Cooper cashed in after replacing Andrew Lynch aboard Special Tiara as he went on to score in the Grade One John Smith’s Maghull Novices’ Chase. Cooper enjoyed a stellar Cheltenham Festival and has found Aintree a happy hunting ground too with another Grade One landed on the opening afternoon of the meeting as he steered First Lieutenant to victory. Special Tiara had been the mount of Lynch but Cooper replaced his injured colleague and guided Henry de Bromhead’s six-year-old to a length-and-three-quarter success. Cooper said: “That was great and it was a lovely spare ride to pick up. “Henry said that the drying ground would help and the horse has jumped from fence to fence. “He settled very well and Henry told me to not move on him and let the horse do it himself. “He stuck at it well at the end and has fought it out. 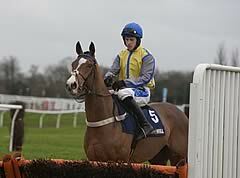 Going to the last I thought I had a bit more horse than Jason (Maguire, rider of Overturn). Over the fourth last I thought I was running on empty but I just let Special Tiara fill himself up. “He is very hard on himself and goes very quick but he never missed a fence. He was winging fences and I thought if I wing the last I will win. 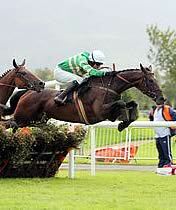 Overturn is one of the toughest horses in training but, in fairness, when I did get to him my lad battled. Donald McCain looked a little crestfallen after Overturn was beaten a length and three-quarters in the John Smith’s Maghull Novices’ Chase at Aintree this afternoon. The nine-year-old adopted his customary front-running tactics once again and made a bold effort to lead the field from pillar to post but his stride shortened coming to the last fence and he could not quite sustain his effort as eventual winner Special Tiara swept past on the run in. “We shouldn’t be as disappointed as we are but we’re a bit sick if I’m to be honest,” said McCain. “He’s run another brilliant race but we’re just so upset for the horse as we wanted him to have his big day. He can’t quite get the life out of this ground as he’s a genuine good or firm ground horse but I’m not sure where we’re going to get that over fences. Alderwood won the final race at this year’s Cheltenham Festival, but the step up from the Johnny Henderson Grand Annual Handicap Chase to Grade One company today proved just too far. Alderwood has a fine record at Cheltenham a very different racecourse to Aintree, and Mullins said: “At first I thought it was the track, but in hindsight I’d say he wasn’t suited by the ground. In Grade One company he probably wants it softer – that’s all, there are no other excuses.